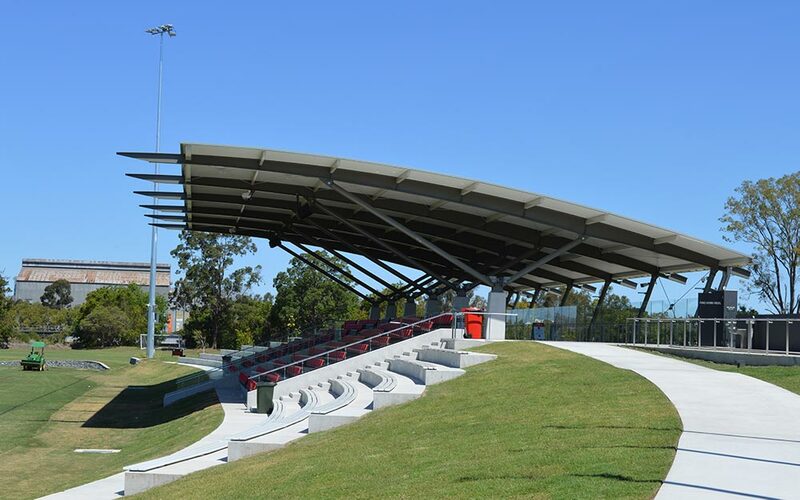 During the devastating flood of 2011, the St Joseph’s College playing fields at Tennyson were inundated as the Brisbane River rose to destroy their entire precinct. 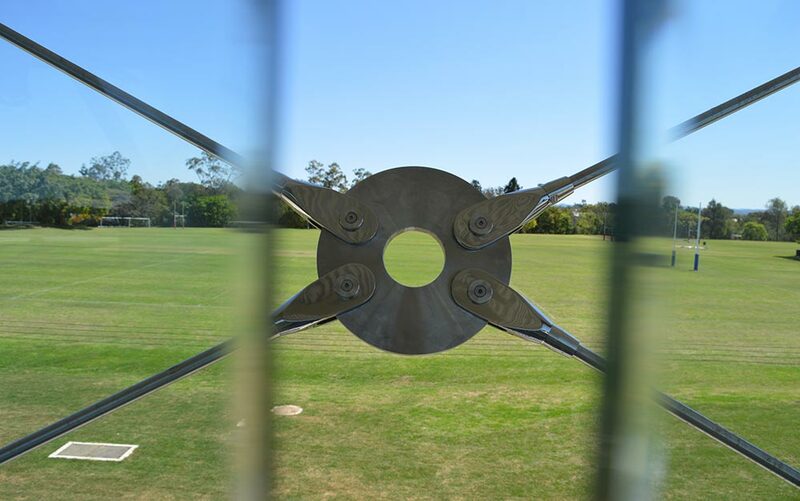 During the devastating flood of 2011, the St Joseph’s College playing fields at Tennyson were inundated as the Brisbane River rose to destroy their entire precinct. 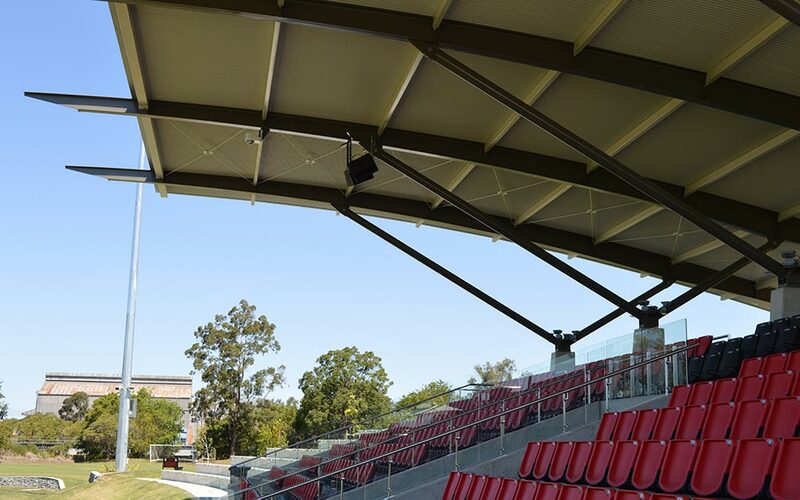 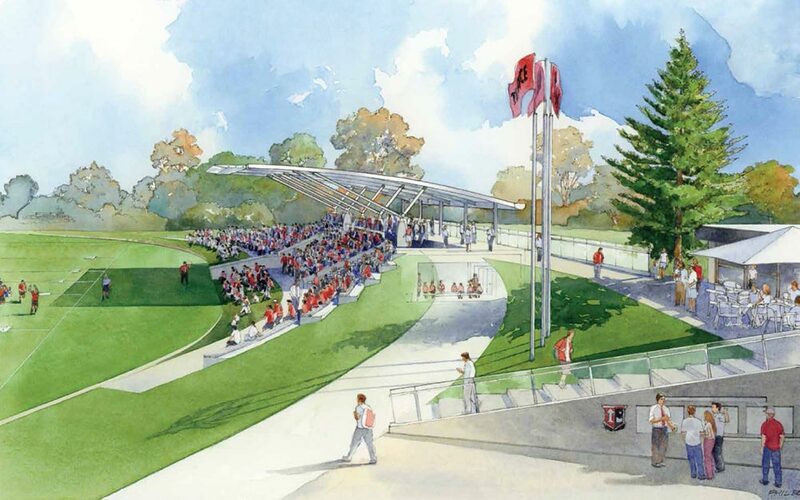 As part of the renewal of these playing fields, Macksey Rush Architects were engaged to deliver a new permanent grand stand covered by a cantilever awning for the main playing field, which is known today as the Old Boys Grandstand. 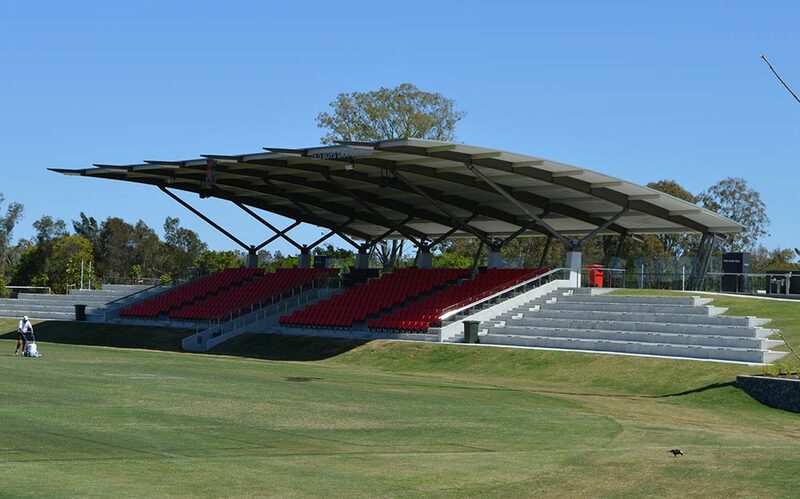 The project involved a new 495 persons seating stand, as well as numerous recovery and preparation areas, change rooms and storage. 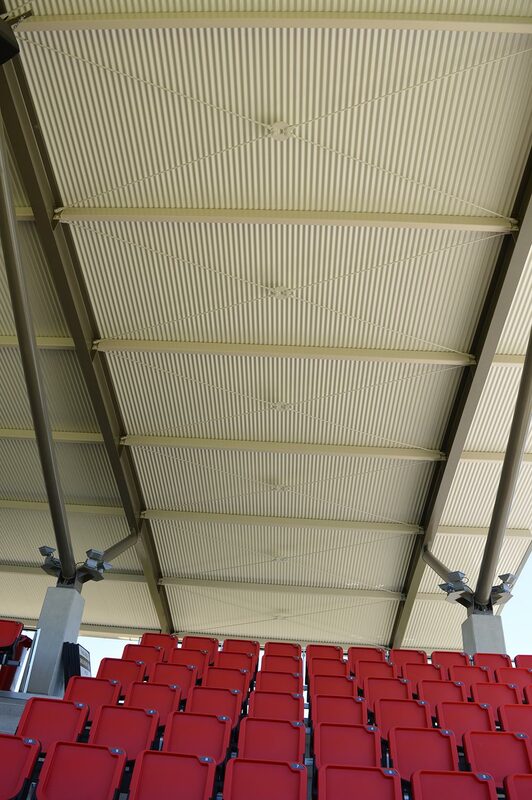 The key design of the stand required a large cantilever awning to weather protect sport spectators. 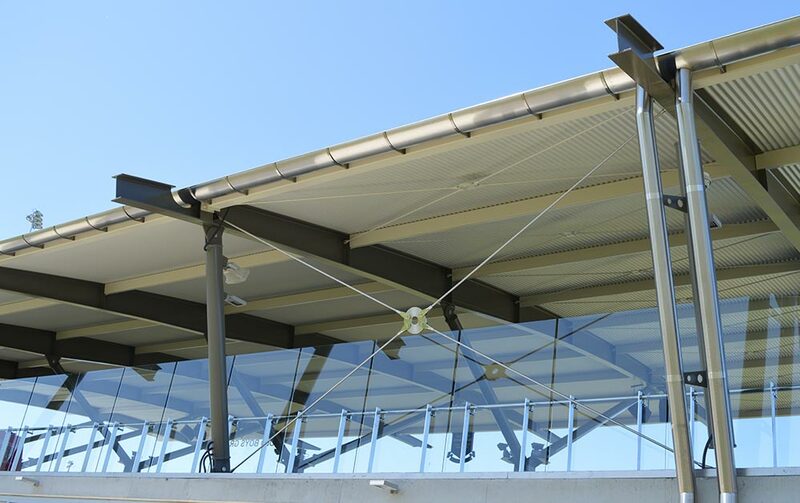 This curved steel structure required exposed bracing to stabilise, and Ronstan ARS Rods were architecturally specified to deliver the most aesthetically appealing solution, and highlighted in the engineering design due to their high tensile strength. 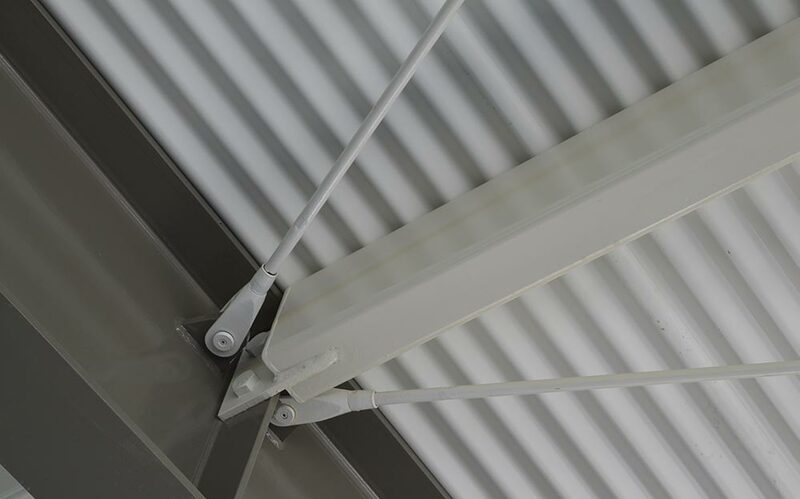 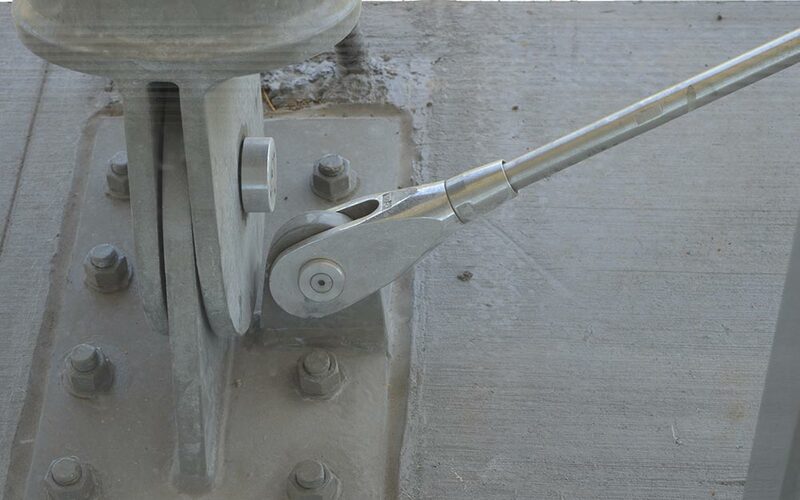 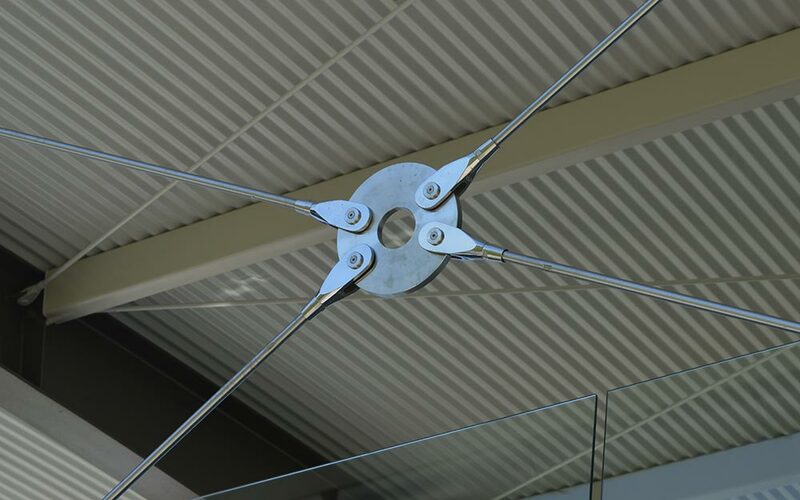 The roof bracing required colour matched ARS4 Rods in the purlin plane at each end bay, which correlated to the stainless steel ARS2 Rods installed in the wall plane between the end frames. 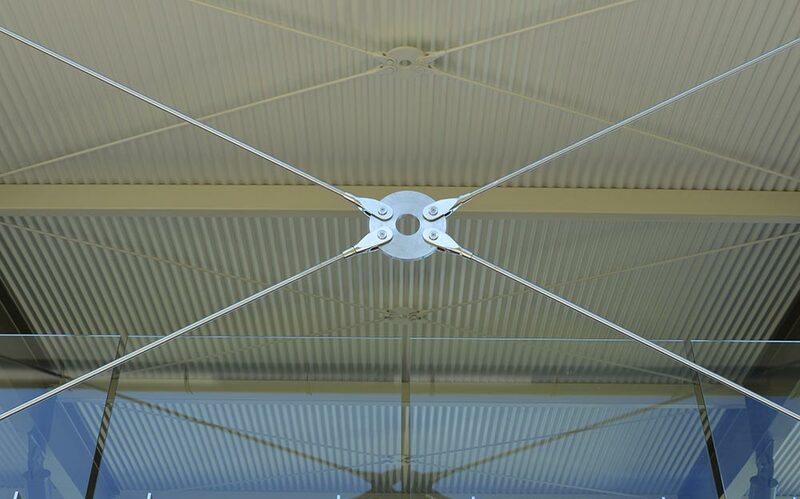 All rods were installed using laser cut centre discs which were also supplied by Ronstan. 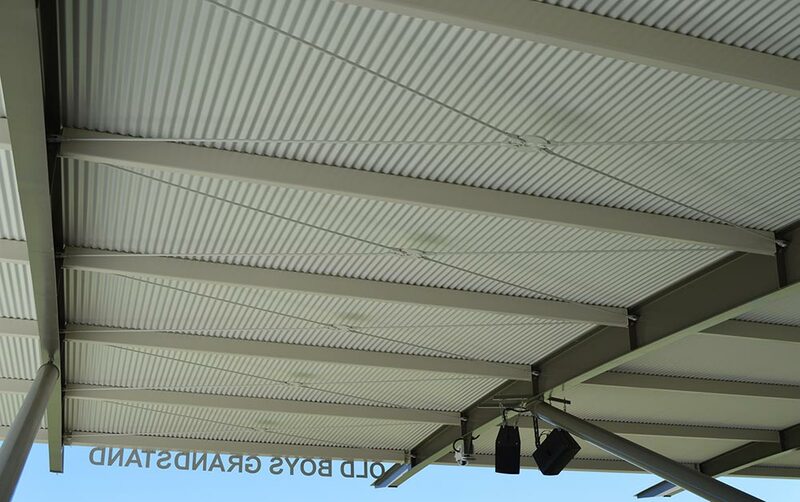 The project was successfully constructed by Gentner Builders and completed in August 2014.